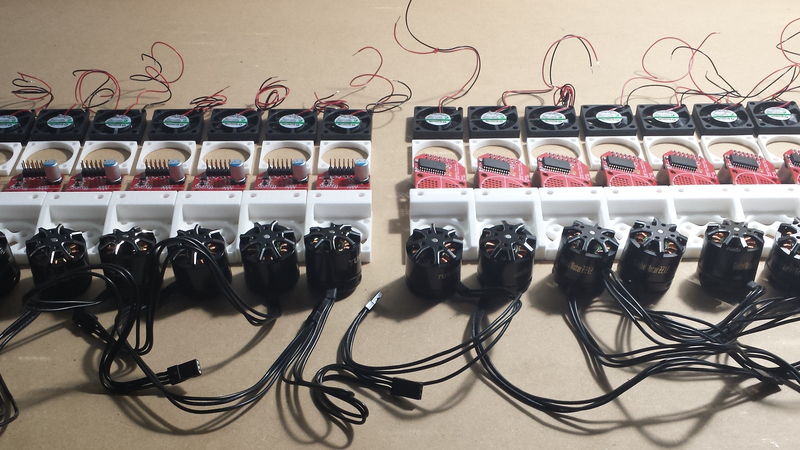 The Additive Robotics Motor Submodules are building blocks for robot actuators. Each submodule, measuring 45mm x 50mm x 55mm, contains everything needed to efficiently produce precise motion: an efficient Brushless DC (BLDC) motor, a cooling fan, and our “BLDC Interface” board. The Motor Submodule also provides advanced calibration settings, high-resolution position sensing, and precise sensor-based current control up to 2.8A at 52V (~145W of electrical power). 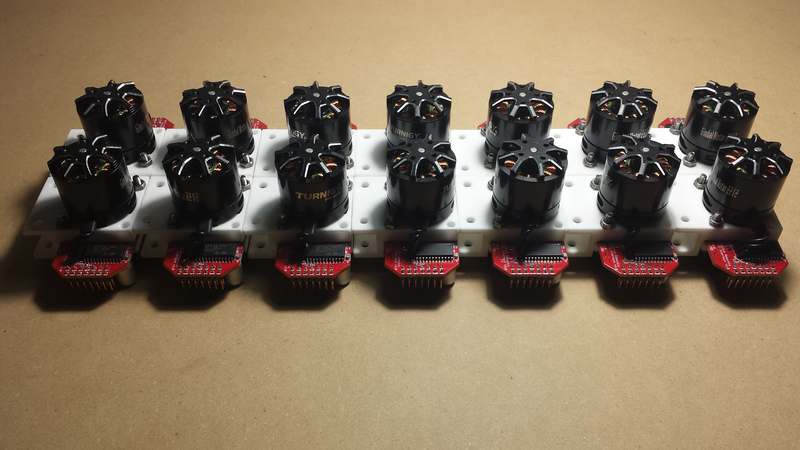 The Motor Submodule connects to a microcontroller via 14 pins. Along with power, the connector contains an SPI interface for configuring the encoder and current-control-DAC, a direction signal, a brake signal, and incremental quadrature encoder signals (with index). When used with the Professional Robotics Learning System, a Motor Submodule can be connected to one of the two Motor Submodule Ports on the PRLS Expansion board. 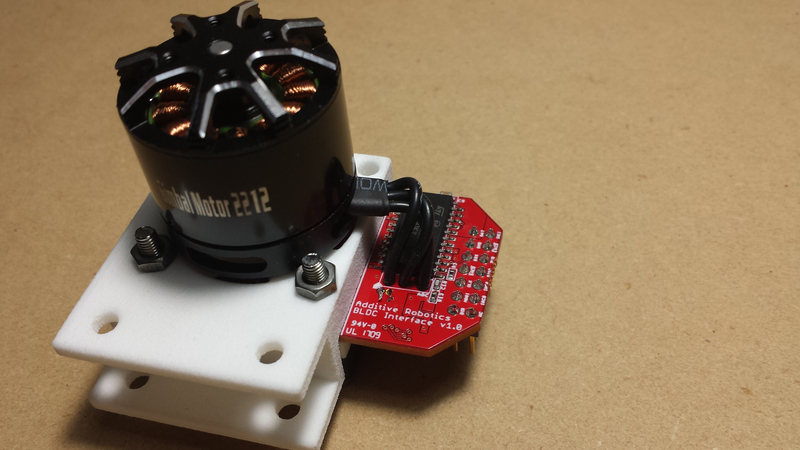 The fan, powered by the on-board regulator and mounted behind the driver board, pushes air through holes in the driver board and into the motor mounted in front of the board. 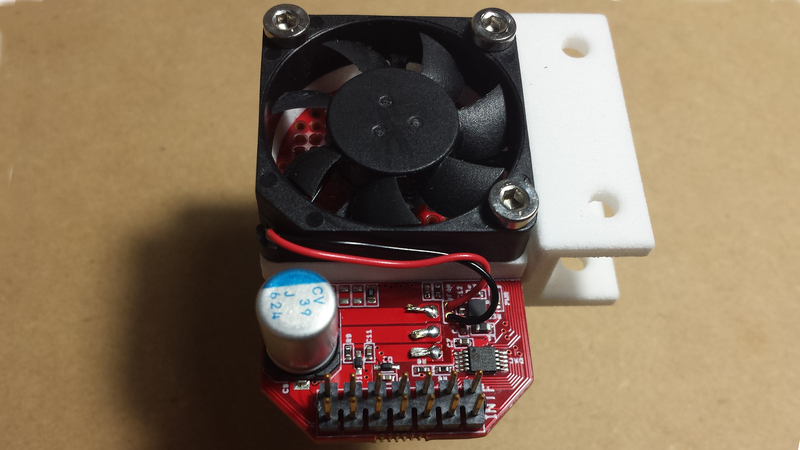 This allows a single fan to cool a small motor and the driver circuitry at the same time. The cooling is important because it significantly increases the power density of the actuation system, by increasing the maximum current the motor can handle without overheating. The motor is also tightly current-controlled, so the current won’t spike when the motor stalls. This further increases the safety and resiliency of the Motor Submodules over typical actuator systems, which often burn up due to excess current. The Motor Submodule design is very flexible in terms of motor selection: It’s compatible with any BLDC motor that has an exposed shaft for a magnet. The BLDC Interface allows the motor’s zero position / commutation signal offset to be calibrated in software, removing the need for precise magnet placement. The maximum current can also be tailored to the motor’s thermal constraints by populating between one and four sense resistors on the BLDC Interface board. The combination of different motors and gearboxes with the driver board easily produces actuators suitable for many applications, while remaining very efficient in terms of form factor, weight, and power. The standard mounting hardware is compatible with the Makerbeam system, and is easy to integrate into robot designs. For other applications, we provide an open-source hardware template. The template is readily 3D-printable, and easy to integrate into custom designs.